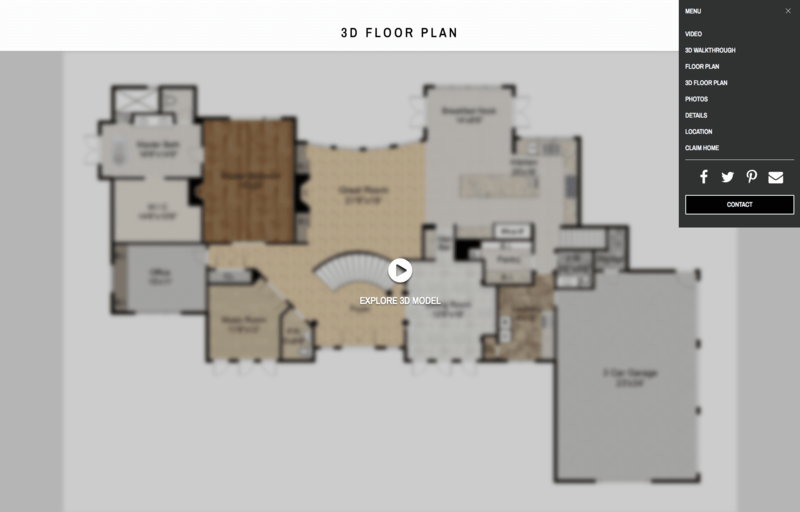 Coming soon, we will be adding the 3D Designer button on the 3D FloorPlan option of your virtual tours. This will allow prospective buyers to drag and drop furniture, change flooring (such as carpet or hardwoods), or even remove walls to see what that open concept might look like on your mid century modern ranch that needs a big makeover. When they buy the home, they can then Claim It and get all this content copied over to their own private HomeDiary account, compliments of you. The new 3D space planner will allow editing in 3D mode, including dragging and dropping furniture, changing flooring or wall colors and more. I also has a roof tool so you can visualize different roofing patterns or even see the whole house in a stacked 3D view. NO other online tool has this robust functionality tied to an actual house’s floor plan created on the listing side of the transaction. Use all of this as a key differentiator at your next listing appointment, and walk away with the listing.